Morning ladies & happy Sunday. Today it's all about this month's 'new in & under £50' picks with my top high street finds that won't break the bank. So let's get started with this timeless stripe top. I think most of us are probably in agreement that we have a weakness for a stripe or two but what I love about this beauty is the extra detailing from the gold buttons on the shoulders. A timeless piece that is automatically elevated to something a little more special due to the addition of the buttons & would be perfect for styling with skinny jeans/cigarette pants & ballet pumps. 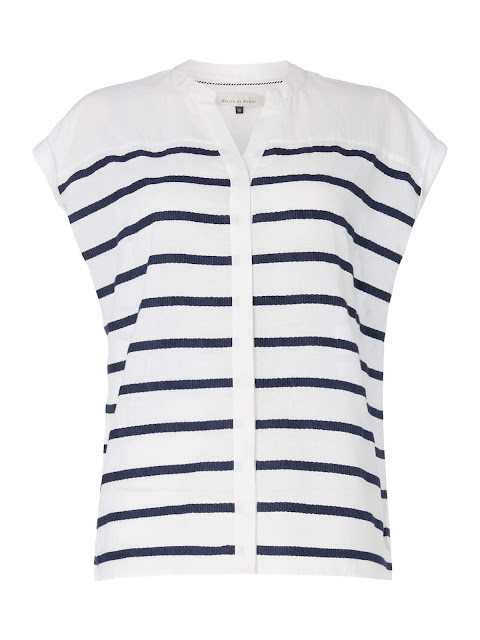 Sticking with stripes & if you have a weakness for a stripe but want something a little more loose fitting than a breton style top then what about the above shirt. Perfect for keeping cool during the summer months. I'd team with white cropped straight leg jeans & then layer with either a blazer/denim jacket/biker jacket if warmth was needed. 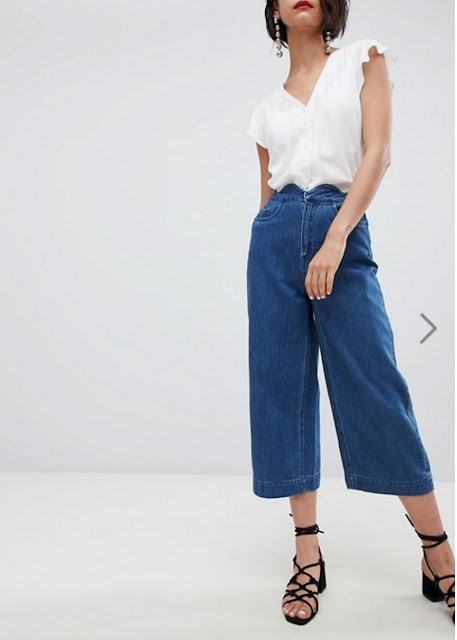 These cropped culotte jeans would also look great with either of the tops & perfect with a red sandal. And for casual summer days then how about this stripe maxi. Style with a biker/denim jacket & trainers for busy & cooler days & come holiday time tan or red sandals, straw basket & panama hat & you've got a great day look. 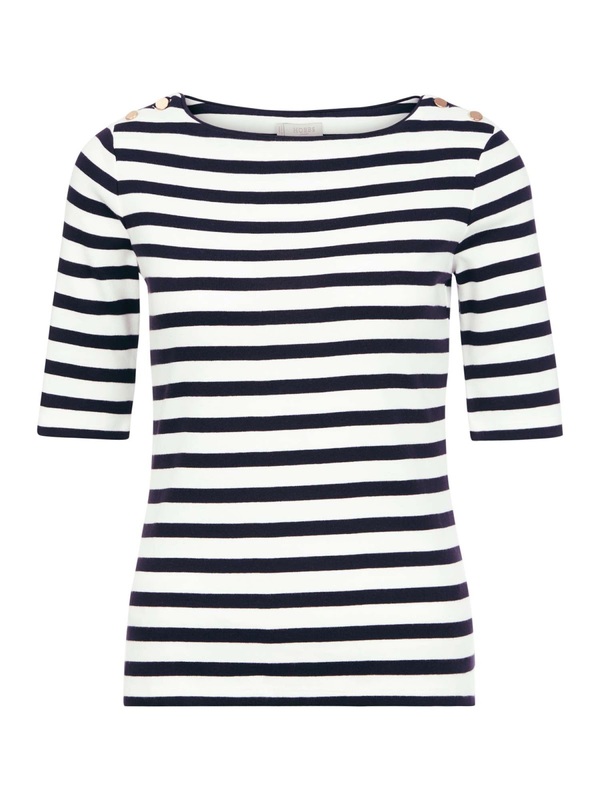 If you're on the lookout for something a little bit more suitable for the office then the above navy dress would be perfect teamed with tan accessories & if you wanted to make a statement a chunky pearl necklace. 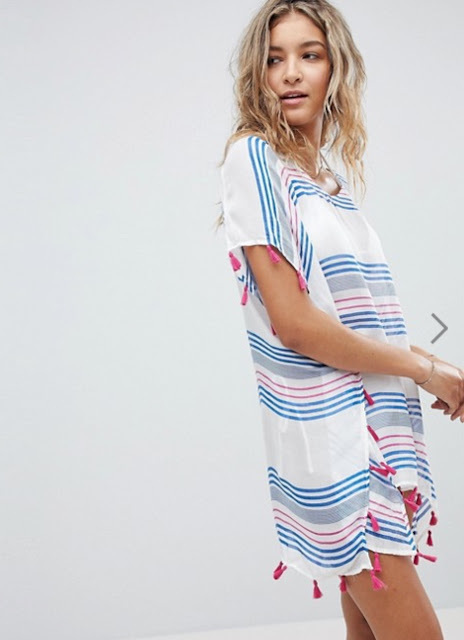 Turning to summer holidays with the next two picks - simple, timeless kaftans that cover a multitude of sins & are stylish & cool are perfect for heading to the beach/pool not to mention whilst enjoying an alfresco lunch or cheeky pre-dinner cocktail. 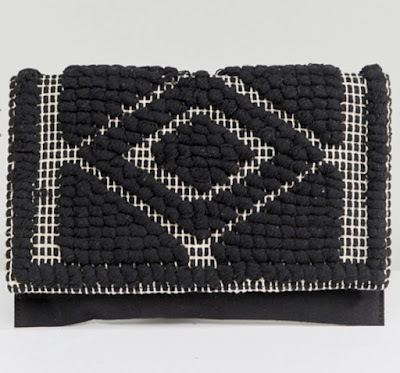 Equally this stylish monochrome bag would be perfect for packing on your holidays. As would these espadrilles, in fact one of the striped tops from the start of this post, with those cropped culottes & these espadrilles would be one stylish outfit, perfect for travelling on your holidays. 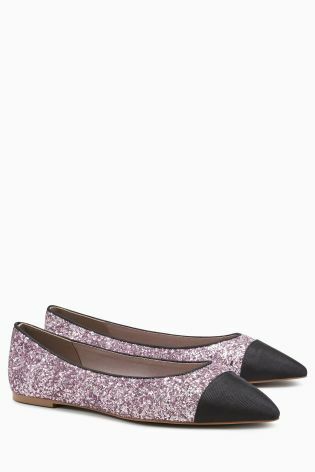 And finally my inner magpie just couldn't resist featuring these glitter-tastic ballet pumps. Well you know how I love adding a splash of sparkle to any outfit! Back to today & it's all about that simple Sunday style - so a simple look of skinny jeans with a statement white shirt & sparkly trainers. Trainers - Hush - now in the sale! So ladies have you spotted anything that's got you itching to 'click' that button? 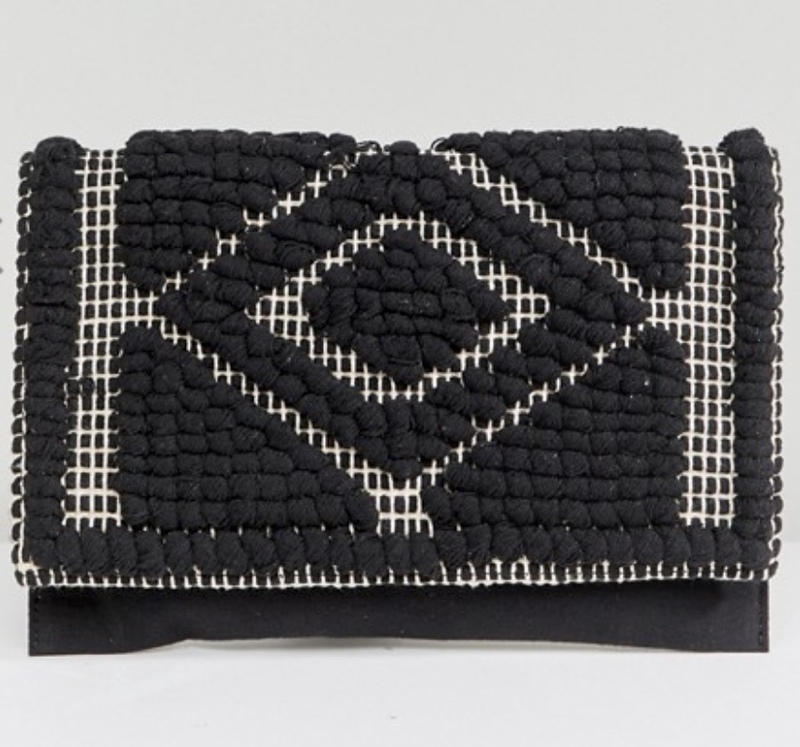 Or maybe you've got a high street find under £50 that you fancy sharing. 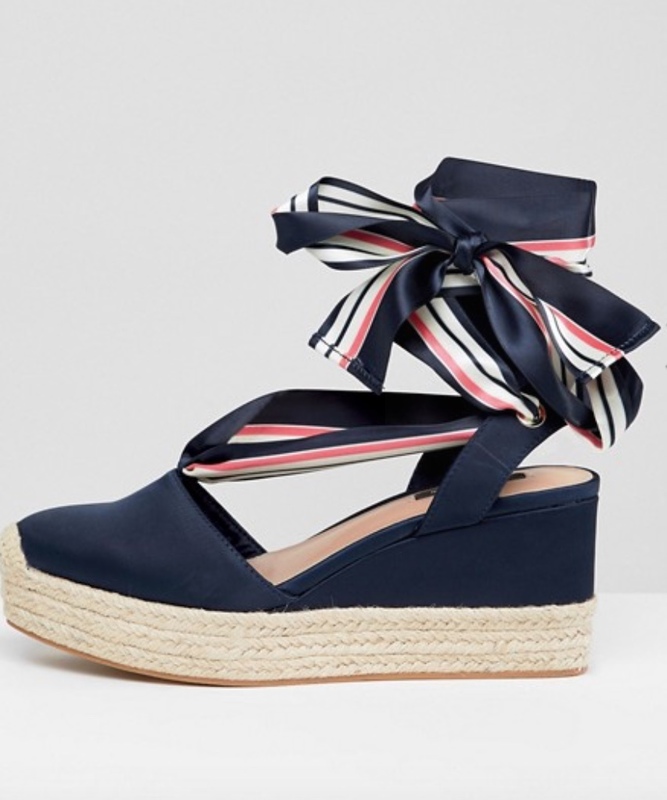 As always I'd love to hear & if you fancy checking out Boden's summer sale it's launched this morning here! Always love a bit of glimmer...fab outfit!